We respect the privacy of visitors to the website and ensure that the personal information you provide us will be treated confidentially. Processing of the personal data is done in a manner that is in accordance with the requirements of the law. Your personal data will be processed by us because you make use of our services. If you fill out a contact form on the website, or send us an e-mail, the data you send us will be kept for as long as the purpose of the form or the content of your e-mail is required for the complete answering and processing of that. General visitor data is kept on the website. In this context, in particular the IP address of your computer, the possible user name, the time of retrieval and data that the browser of a visitor sends, can be registered and used for statistical analyzes of visiting and clicking behavior on the website. We also optimize the operation of the website. Google uses this information to keep track of how our website is used, to provide reports on the Website to us and to provide its advertisers with information about the effectiveness of their campaigns. Google may provide this information to third parties if Google is legally obliged to do so, or where such third parties process the information on behalf of Google. We have no influence on this. We have not allowed Google to use the obtained analytics information for other Google services. On this site buttons are included to promote or share pages on social networks Facebook and Linkedin. These buttons are realized by code supplied by Facebook and Linkedin itself. 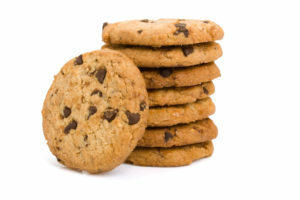 This code places a cookie (see above). Read the privacy statement of Facebook and Linkedin (which can change regularly) to see what they do with your personal data that they process with this code. We offer a newsletter with which we want to inform interested parties about our services and related matters. Your e-mail address will only be added to the list of subscribers with your explicit permission. Each newsletter contains a link with which you can unsubscribe. The subscriber file of the newsletter is not provided to third parties. Through our website, cookies are placed from the American company Google as part of the “Analytics” service. We use this service to track and get reports on how visitors use the website. Google may provide this information to third parties if Google is legally obliged to do so, or if third parties process the information on behalf of Google. We have no influence on this. Your personal data will not be provided to third parties without your explicit permission, if this is necessary to execute an agreement, to provide a certain service or when the law requires it.